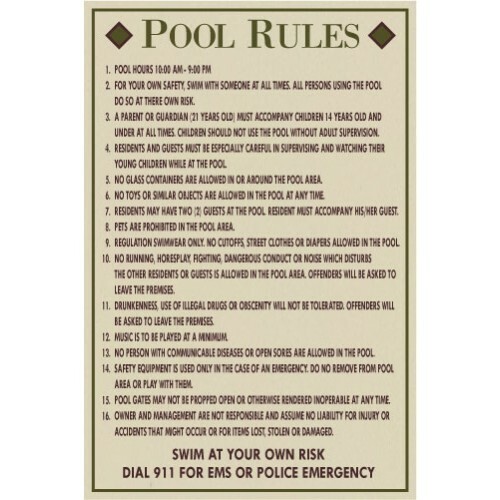 Our custom No Lifeguard On Duty can match your custom pool rules sign. 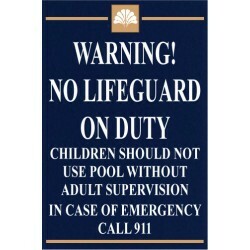 "Warning No Lifeguard On Duty" is 4" tall. 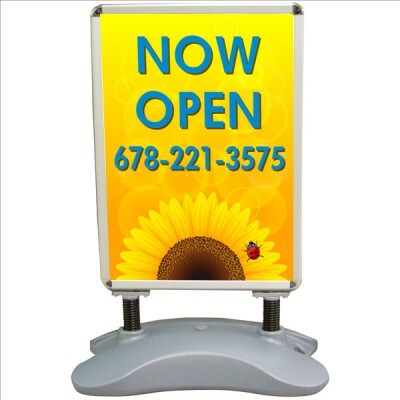 The other text is 2" tall to meet many municipality requirements. 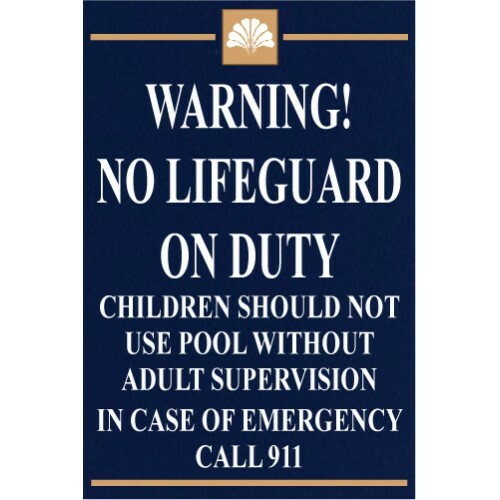 We offer the No Lifeguard signs in aluminum composite materials. 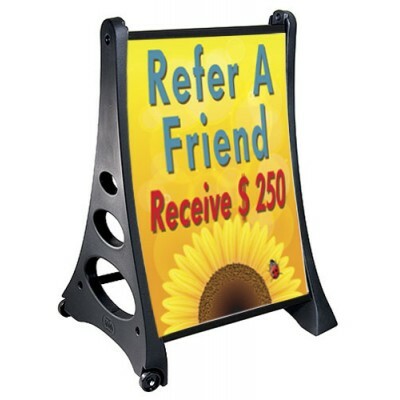 They are rust-free for the wet areas. 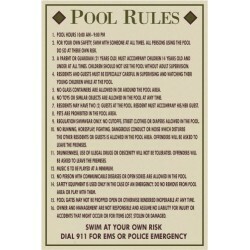 We are showing prices for the most popular size of our pool rules of 24" x 36". Feel free to choose a style from our Collections or let us create your special design. 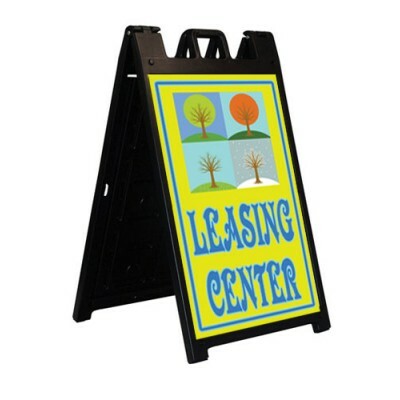 We will email you artwork of your design for approval.